We now return your blog to it's regularly scheduled posts. This has been a test of the Chicago Bear Sports Fan Network. If there had been a real championship in Chicago, you would have been instructed to link to a relevant blog and stand by for further instructions. This was only a test. Da Bears took us on a fun run, but they could not close the deal. Congrats to the Colts, Tony Dungy, and Peyton Manning for playing a smart, physical, and gutsy game. Exactly the kind of game I was expecting the Bears to play. We were out-coached and out-played. Time for a little house cleaning, time to store away the Bears logos, and clear up some of the clutter that has accumulated over the last two weeks. Time to get DWSUWF back on the political track. 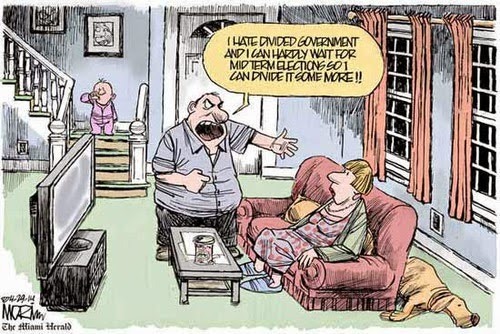 The Carnival of Divided Government is now on a monthly schedule. The next edition will be the Carnival of Divided Government DECIMUS - Special Presidents' Day Edition, to be posted in less than two weeks on Monday, February 19. Submit your blog article for the carnival of divided government using our carnival submission form. Past posts can be found on our blog carnival index page. 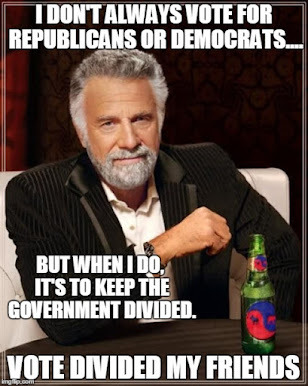 Be advised that in this edition (as in all of the CODGOV series) we select volunteers and draftees from the blogosphere and mainstream media on the singular topic of government divided between the major parties. Use of the words "divided government" in submitted posts virtually guarantees inclusion in the carnival. Absence of those same words virtually guarantees exclusion from the carnival. That is, after all, what the Carnival is about. The brand spanking new Carnival of Election 2008 #1 hosted at Obamalicious (hmmm - I wonder who he is supporting). Check 'em out. Good stuff. Interesting vote today in the Senate on debating the non-binding resolution ... looks like we'll need to update the Executive/Legislative heavyweight boxing match over the next couple of days. Finally, we apparently will not be able to avoid the migration to "New Blogger" much longer. It may happen this week. I have no confidence that this will go well. Pray for us. Technorati tags: divided government, conservative, libertarian, Chicago Bears, 2008 election, blog carnival.